Aspirations of excellence from the new Lucien Piccard Babylon collection. 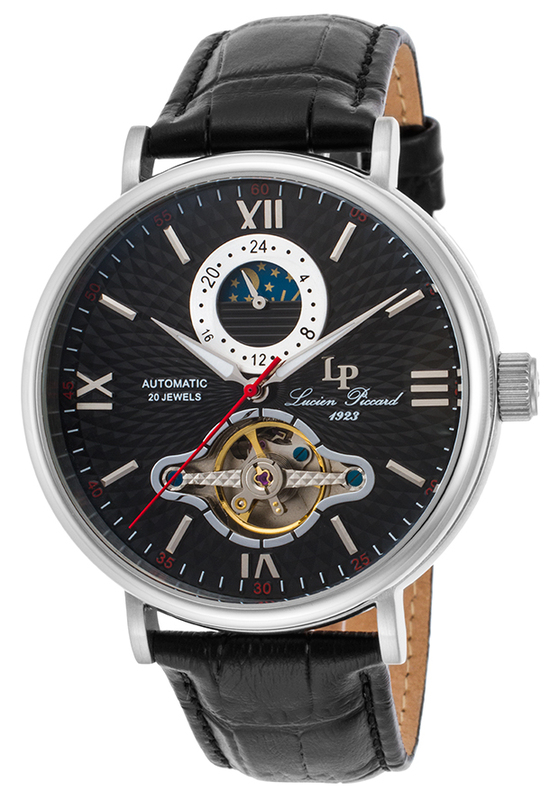 Vintage-inspired men's automatic timepiece looks like a time-honored antique with its intricate dial, featuring a Sun & Moon indicator below the 12 o'clock hour and an open-heart window above the 6 o'clock hour. The amply portioned round case is highly polished to a lustrous patina and is presented on an attractive alligator-textured leather strap. A skeleton case back that lets you see the automatic movement inside adds to their heirloom design.